Wat is dit voor site? Wij zoeken de goedkoopste boeken op internet. Count Your Blessingsvonden we het goedkoopst op Bol.com voor €11.44. We hebben gezocht in nieuwe en tweedehands boeken. Rechtsonderaan de pagina kan je het boek direct bestellen	via Bol	.com. You could lead the life you'd love, if only you lived the one you've been given! Are you really living or barely breathing? Do you feel sick, run-down, anxious, or low? 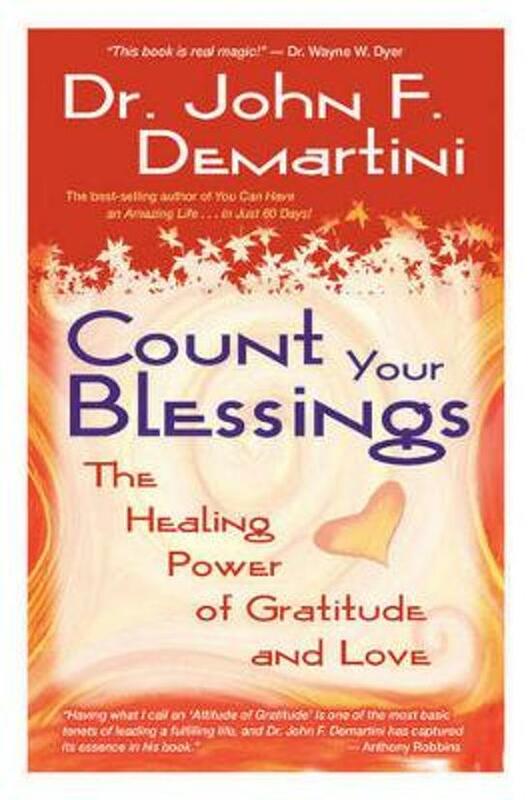 In Count Your Blessings, Dr. John F. Demartini reveals the connection between health and state of mind. The old adage about making the most of what you've got forms the basis of 25 principles that will help you to live a healthy and fulfilling life. Through real-life examples, exercises, meditations, and affirmations, Dr. Demartini shows how you can use and develop your own inner resources, just by living in the present moment. * How to turn any stressful situation into an inspiring learning experience * Transform the negativity of your fears and problems into positive actions * Discover your goals and how to stick to them * Learn to love what you do * How to create more loving relationships Count Your Blessings will be the source or inspiration you will come back to again and again.